There are quite a few young girls, mothers, sisters, aunts and cousins named Colette and you may wonder how the name originated. No doubt you have heard of St. Nicholas, Patron of children between the age of eight and eighty? Well, let this be the auspicious beginning of our story that begins in the 14th century where there lived an elderly couple in a little town called Corbie, in France. Their greatest sorrow was that they were childless, so daily prayers to St. Nicholas were offered in their devout household, and finally, through the intercession of St. Nicholas, a baby girl was born, albeit it that the mother was past the age of 60. She was immediately baptised Nicola, and called Colette for short. She was a bright lively child but grievously undersized. Realizing how anxious her parents were because of her short stature, Colette went on pilgrimage and asked Our Lady to add some inches to her stature, and on her return home it was found that she had become a good average size girl. As one might expect, not only were her early years unusual, but her whole life stood under the star of unexpected turns on her journey to God. Not only did she make several efforts at religious life, but she also spent considerable time in a hermitage, believing that this was where God wanted her to be. It took a very strong and painful lesson from God (she became blind) to make her aware that she had been called to reform – not only the second order known as the Poor Clares, but also the first order of the Friars Minor. After a life of continuous penance, she left to her daughters a very important document, referred to as the TESTAMENT, which expressed her devotion and clear vision of God and the things of God. You can also read her full life at http://www.poorclarestmd.org/ One of her spiritual daughters , Sister Mary Francis of the Five Wounds, (Venerable Margaret Sinclair) was surely a true and faithful follower of the ideals of St. Colette. Click HERE to read the TESTAMENT in its entirety. Glory, honor, awe and reverence to the three Divine Persons in one unity. Amen. You may wonder why the Testament of St. Colette starts with the invocation, Jesus, Maria, Anna, rather than invoking the Blessed Trinity first. For many centuries, almost right up until the Second Vatican Council the most frequently quoted gospel was that of St. Matthew, almost to the exclusion of the other three. Well if you open the first page of the Gospel of St. Matthew, it begins with the Genealogy of Christ. Here Colette employ's a similar device, calling on Jesus , his Mother Mary, his grandmother Anna, and having surrounded herself with their much loved and revered company, then places herself before the Blessed Trinity, it is a much used device to surround oneself with friends, on whose assistance one can confidently rely. For the medieval man the presence of the Saints was indispensable, they were part of the family and quoted lavishly as intercessors for any petition offered to God. In addressing God but using the words, Glory, Honor, Awe and Reverence, Colette , as a true child of her age, sees the Divine as the beatific vision, which is held before us, not only as the end of our journey, but more so, as the continuous encouragement of the worthwhile of the journey. In Roman society, the word Gloria, was attributed to the Emperor only, on the festive occasions when he returned to Rome at the head of a successful army. Moreover the Greek word doxe, somehow conveyed that glory was a shining success which spread itself from the person of the Emperor to the crowd, surrounding him with their jubilations. It was easy for the medieval man to transfer on to God that same jubilant joy , knowing that the victory over sin and death had been won by Jesus, and was in effect fruitful to everybody. So let us begin this series of meditations by invoking the names of, Jesus! Maria! Anna! "My dearly beloved sisters and daughters, in the charity of our merciful, sweet and loving Redeemer, Jesus, and of his loyal spouse, our mother Holy Church, with all humility of heart and devotion, I commend myself to you, in life and in death. I commend both my intentions and the burden which I have to carry before our Lord, that I may render a good account of it to him on the day of judgment." If, as a child, you were asked to eat up your dinner, you were probably also toldthat there would be ice-cream to follow, in other words something positive and nice is held before us to move us on. Mother Colette begins her Testament by addressing her sisters as, dearly beloved, again we find, the same solicitude, to present not only herself but her sisters and daughters before the throne of the Almighty. Note also the use of the word, daughter, which by implication says that she considers herself to be the mother. The minute I am in a relationship of responsibility the horizon changes, my daughter expects something of me as I expect something of her, together we build up a relationship of trust and mutual upbuilding, and a relationship in the Spirit far surpasses that of the blood. Then, Mother Colette calls on Jesus, the merciful, sweet and loving Redeemer. Here is presented to us an image of Our Lord which wholly responds to the Franciscan ideal of Our Lord. It is said of Francis that he savored the name of Jesus. Not only Our Lord but his loyal Spouse, Our Mother Holy Church is called upon, this is again very interesting. We falsely believe that ours is the only age with polarization and tension in the Church, the facts are different. But consider this: in the time of Our Holy Mother St. Colette, there were three Popes vying with each other for supremacy, and the one who accepted Colette's vows was actually an anti-Pope, and yet Colette sees the Church as the loyal Spouse, as the holy Church. Why? because in all her frailty, the Church is the visible sign of the invisible presence of God and all human fragility cannot change this. Colette commends herself to her sisters with humility of heart and devotion, there is no room in her understanding for the imperious Mother Superior, in fact the word, "superior" is never used, neither for that matter, the word "subject". Humility of heart is the sober realization that we are what we are before God, no more, no less, which in turn enables us to approach God. Not only does Colette entrust her position to her sisters, but also the office she holds, as a burden that needs to be carried before Our Lord, in fact to this day, in Colettine Monasteries, on having confessed her fault the Abbess will be told by the Vicaress, that the burden of the office is penance enough! And finally Colette rounds off her first paragraph with the reason for turning to her sisters and asking for support, the reason being to be able to render a good account of the day of judgment. The medieval man never lost the awareness that he was asked to give an account of himself before the One Who is not only our Judge, but more so, our Creator. "My dearly beloved sisters, chosen out of the valley of the shadow of death by the uncreated wisdom of our sovereign Father, to enter into the gospel way of life of his dearly beloved Son Jesus. To be his spouses, true daughters of the sovereign King, temples of the blessed Holy Spirit, heiresses and queens of the most high realm of heaven; and for a little labor to obtain repose, honor, glory, and unending salvation without limit or measure. ... Therefore, my dearly beloved daughters, be aware of your call from God to holiness, your great dignity and high perfection. Ignorance of these things is damaging, consciousness of them will enable you to bear much fruit." This time Colette addresses her sisters without mentioning the word daughter, and it is easy to see why this should be. All of us , including herself are chosen by the uncreated wisdom of the Sovereign Father, in that way establishing a sense of equality as far as the invitation from the heavenly Father is concerned, and the invitation is issued by the Sovereign Father, not the dear Father, not an Almighty Father, but by One who is as much a King or a Ruler as he is a Father. We are reminded of Our Dear Lord's words, "It is not you who have chosen me, but I who have chosen you". A timely reminder that a vocation is a gift , once given cannot be returned, as the French say, noblesse oblige! (nobility obliges you). This Father acts not out of whim, but is motivated by Uncreated Wisdom, and, as Job had to learn, at great cost, that the Almighty cannot be questioned. The invitation then is to enter the Gospel way of life, which stands in contrast to the life led in the shadow of death, and the reason for this is that the Gospel way of life is that of his dearly beloved Son, Jesus. Again, we are reminded of the Baptism of Our Lord, that the Father declares him to be his Beloved Son. And now comes the key sentence, every word of which is pregnant with meaning. The invitation amounts to becoming a spouse, a true daughter, an abode of the blessed Holy Spirit, and heiress, and a queen, higher than this one cannot aim and the price to be paid a little labor, the reward repose, honor, glory, unending salvation, as they say in advertising circles, "aim high!" – some of it will stick ! And now having put before her sisters and daughters the essence of their vocation, St. Colette turns her maternal concern for her dearly beloved daughters to make them aware of their calling to holiness, the holiness that results in great dignity and high perfection, and finally adds a word of warning, pointing out that ignorance is damaging and consciousness of this renders each sister fruitful for the kingdom of God. We have experienced in our time the painful truth of this warning; not only is ignorance damaging, it is destructive. How many Religious having become unfaithful to their holy vows ever reflected on what they have lost by betraying their holy calling. It is without question a sad replacement which changed religious life for the benefit of doing social work, important as this is, as the blessings for the Church and suffering mankind are increased and multiplied by a life of prayer and dedication, simply because everything is given for the greater glory of God. "Know, then, that you have entered on the true way through the door of divine inspiration and God's loving call. For as our dear Saviour says, no one can come to me, unless my Father draw them by his inspiration." Having cleared the ground in her introductory remarks, Mother Colette comes to the first vital point of her Testament, saying that we must enter through the door of divine inspiration and God's loving call. Two things are obvious, the first is, the reference to the door, meaning the gateway, Our Lord himself, St. John Chapter 10, and secondly the verbatim quote from the "Form of Life of Mother Clare", who says, "If by divine inspiration anyone desiring to accept this life ..."
It is obvious that Mother Colette draws her inspiration from St. Clare whose order she was called to reform, and like St. Clare assures her sisters that a vocation is a God given gift and not a man made ministerial service. How many religious need to reflect upon the reality that their calling is not as such to serve in a "productive" manner, but to love. It is in the ontological nature of a vocation to partake in the Trinitarian life of God, and the Trinitarian life of God is the life of relationships, the Father loving the Son, the Son loving the Father, and the bonding between the two Persons is the Holy Spirit. Therefore it is not our "output" that matters but our willingness to allow God to love in us, and through us. This is what Colette refers to as God's loving call. Furthermore she makes a point that nobody can come unless invited, and we are reminded of the Parable of the Wedding Feast, where the father of the household, greeting the guests, rebukes the one who comes without the wedding garment, St. Colette seeing that the wedding garment as divine grace that is essential to a consecrated life. "This gateway into the rich field of the Gospel way of life is total renunciation of the world, the flesh and one's own will. For thus says the blessed Son of the pure Virgin: "If any want to become my followers, let them deny themselves and take up their cross and follow me" by continually repenting of their sins and failings, so as to keep the grace God gives whole and alive and avoid future falls. This is shown in St. John the Baptist, who was sanctified in his mother's womb. All his life long he carried the cross of continual penance, not because he had committed any actual offence but so as to persevere in grace and give good example. If this is what the just man does, what ought the sinner do? Whether here below or in the life to come, every sin will have its consequences." Now Colette is ready to confront us with the definition of what she understands what the gateway into the Gospel way of life is meant to be. First. Total renunciation of the world, total renunciation of the flesh, total renunciation of ones own will. We have a trio of much misunderstood injunctions. How can we renounce the world when we live in it ? How can we renounce the flesh when we are embodied by it? How can we renounce our own will as dignified adults? In the sense of the total renunciation that is required of every Christian, a renunciation we are reminded of Easter night when we renew our baptism vows, renouncing Satan and all his works, and all his pomp, and renouncing the mastery of sin in our lives. The renunciation of the flesh, requires respect for relationships, in and outside of marriage; neither partner is a commodity to be used and disposed of at will. It is always the need of the other that is the criterion of a morally sound action. We renounce our will if our decisions are ruled by the needs of our neighbor and not by our own pleasure. Obviously each state of life has its own unique responsibilities, its impediments and many broad implications, but the fundamental truth remains the same. St. Francis De Sales in his book, "Introduction to the Devout Life", has this to say, "A housewife cannot sustain long hours of prayer, a carpenter needs to work to support his family, a priest needs to attend to his people, therefore their devotions differ in length, but not in intensity, they all serve the same God." For Religious, the basic structure of a consecrated life is already preparing the individual for his commitment. All he needs to do is to enter into it with a willing heart and an open mind, or more plainly, as St. Teresa of Avila said with tongue in cheek, 'Eat well and sleep well, the rest we can teach you'. But to return to Colette, our dear Lord tells his disciples to take up their cross and follow Him. Note that Our Lord did not say to take up HIS cross – but ours – it is the cross of our own limitations, of our own character flaws, our own idiosyncrasies, that we need to carry; only in that way can be prepared to repent and do penance in joy. John the Baptist, the precursor of Jesus, when he preached penance as a preparation for the coming of the kingdom effectively had this to say: Repent.....rethink! ... and then act. Why? because the Kingdom is at hand. Finally, and for good reason, Colette mentions what every priest in Confession can verify: whether here below, or in the life to come, every sin will have its consequence. But the consequence of sin is not the punishment of God, Who is willingly forgiving us, but the damage done that has to be redeemed: if I am an alcoholic, the damage to my liver may be beyond repair, if I have committed murder, I may have rendered a family fatherless, or motherless. In short, as our forebears in their wisdom ever told us, God need not punish us, even if He were inclined to (which He is not) – for sin has its own punishment. It carries its penalty within itself. "The Lord says, follow me. Follow by final perseverance, keeping completely until death all that you have promised in accordance with the Holy Gospel, so as to be found in your last hour only desiring the fullness of my will; rooted in the perfect love of God." Colette, again quoting the Holy Gospel, invites her sisters not only to follow the invitation but to persevere to the end. Underlying this injunction is, of course, the understanding that the eschatological view is taken for granted. As so often, the medieval man saw all things of present life sub specie aeternitatis, that is to say, with the end in view. 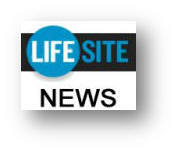 It is both astonishing and scandalous (and very much a sign of our times) that at a recent meeting of top theologians, it was generally held that the vision of eternal life and the things to come made no difference to our present lifestyle! Our Lord himself more than once promised the reward of heaven to those who are faithful. It is virtually impossible to try to be good "because it is good to be good", in other words, for the sake of goodness itself; the widely spread humanistic liberalism functioning on the false presumption that we will choose to do the right thing once we know it to be right, a concept that has taken a sad but not surprising turn in the wrong direction. Every teacher, and perhaps more so every policeman, knows this to be profoundly untrue. For Colette, however, not only are we asked to keep our promises until death, we are also assured that this is in accordance with the Holy Gospel. Only then will we be able – when our last hour has come – to desire nothing but the holy will of God. In Franciscan spirituality the holy will of God and the love of God are exchangeable terms, God loving and God willing have the same meaning. Sadly, for many, the notion of God loving us is decidedly more palatable than the notion of God willing us to do things. At this point in history, it is almost an unacceptable, an intolerable concept, and yet, when we earnestly reflect that in the perfect union of love there is a 'oneing' of two into one, it is nothing less than surprising that the obvious implication of this truth appears to remain opaque to our understanding. It is with this in mind that Colette can complete her reflections on living the gospel by saying that all our actions are rooted in the perfect love of God. "... Note well then, my beloved daughters, that you have been called by grace to perfect obedience, so as to obey at all times and in all things, save in sin. Jesus Christ did this even unto death." Now Colette moves medias in res (right into the heart of the matter). Obedience. It is somewhat surprising that the first death mentioned concerning the Gospel way of life is obedience. It would have seemed that the theological virtues of faith, hope, and charity, would have had first claim, but then we are reminded that the Holy Rule of Mother Clare defines profession as being received into obedience. The Canon Law also defines a religious as someone living in obedience. The question naturally arises, why is obedience such a basic issue? Let us look at the Word, which conveys the notion of eager listening ... to whom? God ! As Jesus Christ is the Word of God, he is the bridge between God the Father and us, and as He himself says, seeing Him, listening to Him, is seeing and listening to the Father. St. Paul, in his letter to the Hebrews, tells us that Christ was made perfect through obedience, and during Holy Week the recitation of the Divine Office repeatedly makes reference to Christ's obedient even unto death, death on the Cross. And therefore God raised him up! So we, his disciples, having been invited to follow Him, embrace a life of obedience so that we too may be raised up on the last day. If we look at the people to whom Christ gave his own obedience, there is not only Mary and Joseph; there are the Jewish authorities watching him, many filled with malice, ill disposed, awaiting His downfall. In no way can we say that His obedience was rendered to worthy sources; it is only by keeping his eyes on his Heavenly Father that his obedience became blessed and fruitful. We must do the same, for the servant is not greater than the Master. We see in our Holy Mother Church, continuation here on earth of the ministry of Christ and we obey. Our obedience is solely based on the conviction that our Heavenly Father is honoured by our trust and our confidence in Him. "For it is not sufficient to obey when it suits you, or in certain limited things only. We should obey, even unto death, in everything not opposed to God, or contrary to your own souls, or to the Holy Rule. Following the example of our merciful Redeemer, who became obedient for our sakes even unto death, we in our turn ought to obey, for his sake, even unto death." Colette now explains in greater detail the nature of our obedience, pointing out to us that obedience is all embracing; it is not confined merely to certain aspects of our lives in Christ, still less to things naturally amenable to us or of our own liking. Obedience, being a form of love, must always be applied. We do not love God at certain times and under certain circumstances, but always, as He loves us always and under all circumstances – because God alone is always lovable. However, Colette was also aware of the abuse of authority and makes provision for this as well: obedience must never be in opposition to God, to the dictates of our own conscience, or to our form of life. This is a very important safeguard which we do well to take to heart. The obedience of a truly loving person is enlightened by the inspiration of the Holy Spirit, always within reason, and not contrary to God's Holy will. We are mindful of many examples in totalitarian regimes where a man presumed that his obedience held personally unaccountable, and excused him of the most horrendous crimes. Even in peaceful times, a well informed conscience is the best safeguard against wantonly willful actions and desires. Again taking as an example Our dear Lord, Who became obedient unto death, we too die – in the form of lesser deaths: death to our arbitrarily expressed feelings, to our false expectations, to our exaggerated desires, so that the new person can be born within us. submissive to Joseph and obeyed his dear Virgin Mother." Colette now points out a very common failure, rarely repented of, the failure of reason and charity involved in setting ones own judgment as the norm, the measure, of all things. Already the Blessed Francis foreseeing that learning, wrongly used, could be exercised as a tool for power, warned his first followers against, not learning of itself, but the arrogance, even hubris engendered through learning at the cost of love, of charity .... even of reason. Although he himself had to admit that his friars needed teaching in order to preach orthodox truth remained doubtful and unhappy on this particular issue. It took St. Bonaventure to resolve the problem of training the clerics without loosing simplicity and humility. In the same context the word feeling occurs, there is nothing harder but to reason against somebody's strongly expressed feelings, and usually it is a useless endeavour; feelings, if not subordinated to reason, are often expressed to great detriment, vexing us, not only in our dealings with our next door neighbour, but also in a sober assessment of our assessment of our own situation. Life must be ruled by reason, and not simply reason in and of itself, but greater reason still: reason which is enlightened by faith. To act on reason that has been christened with faith is the aim of obedience, and its fruit is peace of mind and an untroubled conscience. Quoting the example of our Lord, the source of true wisdom, Colette points out to us that Jesus Himself, immediately after his Bar Mitzvah, stayed behind in the temple. It was a lawful and right decision, for He had been declared a man, subject to the Torah. However, we must note that while He was henceforth no longer under a mandate of obedience to Mary and Joseph, He nevertheless chose to be subject to them, and would, for the next 18 years lead a hidden and uneventful life, growing in wisdom and strength before God. It is not likely that we can obey the holy will of God in serious matters if we have not seen the daily events in the light of obedience. Every daily act, from sunrise to sunset is God's invitation to us to listen to Him, to live in obedience to Him, an obedience freely given and therefore not of the nature of servitude. "The truly obedient person is concerned only with the work of true obedience, obeying purely for God sake and as with much reverence as if he had received his orders from the lips of Jesus. The more humble the command in human eyes, the more precious is devout obedience in the eyes of God. The truly obedient person fears more to be lacking in obedience than to run the risk of bodily death; after the example of our blessed Saviour Jesus Christ, of whom St. Bernard wrote, saying: remember, that Jesus Christ much rather preferred to lose his life through his bitter Passion, than to fail in obedience to God his Father." Saint Colette has still a few more points to raise, pointing out that the truly obedient person is concerned only with the work of true obedience, obeying purely for God's sake as if the order had come from the lips of Jesus. A word of explanation is needed here. It is regrettable that very few people are aware that every baptized Christian, by the very fact of his baptism, has chosen to follow Christ. Prior to his Baptism, knowingly or unknowingly, he had followed Satan through the stain of Original Sin. But with Baptism, this stain, this impediment, not of our own making, has been washed away, and with it comes the obligation to follow Christ. Because most of us have been baptized in our infancy, the promises made by our Godparents, and the awareness of our commitment to follow Christ is not always, or even largely, present in our mind, and it must be stated that those who follow their conscience will, and can, be saved by their fidelity to the dictates of conscience. There is no neutral ground for the baptized person, he has chosen Christ, so he must follow. It therefore matters little whether the command he receives is an important one or insignificant; with Christ he can say, "my food is to do the will of my father". Every action of the day, including the most ordinary duties, the most trivial choices, even the necessities of eating and sleeping, can be sanctified through obedience and so constitute one of the highest forms of worship. In a great paradox, a divine paradox, it was to the God by Whom He felt forsaken that Christ surrendered Himself – and here we enter the mystery of our Redemption. The disobedience of Adam could not have been remedied by anything less than the perfect obedience of the second Adam – Christ – laying down His life as a ransom. We may never be called to such an extraordinary act of obedience; on the other hand, we may. But we are not wanting in opportunity or practice: even our daily life offers us many opportunities to abnegate our will, in small things, hidden things (seen so clearly by the Father! ), seeking, instead, the holy will of God. We need only look to Margaret Sinclair for so perfect an example. "All evil comes through disobedience. As another St. said: one prayer of a really obedient person is worth a hundred thousand of a disobedient one. If we are obedient to God, and to our Superiors for God's sake, God himself will obey us in granting all our good desires." remember that years of experience as a reformer had brought her face to face, not only with her own disobedience, but also that of many religious and lay people with whom she came in contact. To start with, she would have much preferred to stay in her hermitage and pray, and she said so to God. But God had other plans, and smote her with blindness. It was only when she agreed to be an instrument in His hands that the blindness lifted. The one and only weakness we know of in her life was her fear that when her eyes pained her, the blindness would return. It is quite possible that she suffered from what we now term, migraine, and it is the only occasion when she was persuaded to use some ointment to relive the pain. Also, her encounters with the members of the first order were not always of a positive nature; strong resistance was shown to her reform, even the Benedictines in Corbie made no exception to this. Worse still she took her Holy Vows in the hands of a Pope who proved to be an anti-Pope! Colette to the honour of the altar because of her humility and obedience. Her life exemplifies the statement that one prayer of an obedient person is worth a hundred thousand of a disobedient one, and God will obey us if we obey Him. "Rid yourselves then of all self-will for it is the one fuel for eternal destruction." .... Now follows the reason for her admonition to obedience. Categorically, she states that self-will is the fuel for eternal destruction. These are strong words, uttered not in anger but with great anguish of heart. Why should it be that the exercise of self-will points to such a terrible end? Simply this has to be said, we are here on earth to love God. Adam, however, after the Fall, usurped the place of God and arrogated the throne to worship of the self, heedless of the very clear fact that this was contrary to the design of his Divine Maker. The acquisition of the knowledge of good and evil, however tempting, could not be acquired in any other way but through God and for God. Having grasped for this knowledge because of the whisperings of the evil one, he is now left with knowledge that is not beneficial (is the knowledge of evil – which requires the acquaintance of evil through the experience of evil, ever good?). It took our present age to wean ourselves off our pride and to discover that the claims of the Enlightenment – sometimes still vaunted today –were false, that its foundation was corrupt, and its promises unattainable. Even if we do know what is right – we do not choose it! This is not a weakness in man, but an evil, a perversion, of the will that turns aside from the good, knowing that its only alternative is evil. While we have gained tremendous insights in every field of science, the human person is still left in darkness as how to achieve happiness and peace in any other way other than listening to God. In her final summing up, Colette draws a most astonishing conclusion, pointing out that if we obey the creature for love of the Creator we are combining charity and obedience. This is a truly striking statement, one with which many religious people would readily disagree, arguing that in many instances obedience has been a stumbling block to the exercise of charity – and how many people have opted to free themselves from obedience in order to practice charity as they understand it. How is one to resolve this dilemma? In the last sentence of this paragraph, Colette points to Christ on the Cross. Charity is a truly crucified love. When our false self has been crucified, and our imaginary expectations have been disowned, when we have learned to trust that nothing could ever be asked of us that is damaging to ourselves, then we might be able to understand that there cannot be any contradiction between obedience and charity. God, our loving Father, would not have given us the example of His Son had He were it not that we are called to life by obedience, and to true freedom his divine word. ".... After the renunciation of ourselves through complete obedience, our Savior wishes us to carry our cross daily - that is, our vow of holy poverty. Poverty is the heavy cross of not wishing for anything under heaven, except him who bore the cross on his shoulders, and deigned to die for our love on this cross: pierced with nails, crowned with thorns, spat upon and heaped with blows; his side pierced by a lance." After her exhortation to Holy Obedience, Colette moves further into the subject on hand, mentioning poverty. We need to understand that poverty as such is an evil that could never be justified. By the Evangelical Counsels a potential evil such as self-will, however, is turned into a blessing through obedience, and the evil is replaced with trust. It is only by looking at poverty from the viewpoint of trust that we can understand its meaning and its importance. God the Father provides! Therefore we can trust. This trust may be severely tested, but following the example of Our Lord, Who, hanging on the Cross, entrusted Himself to a Father Whom He no longer experienced upholding Him or as being present. It is to this Father that Christ surrenders Himself and it is to this same Father that we surrender our life, our welfare, and our future. It is this same Father Who provided new life, better life, for his Son as He raised Him from the dead. And this same Father will raise us up in many ways, great and small, if we entrust ourselves to Him. "O holy poverty! Finery of our redemption! Precious jewel and certain sign of salvation! " Now Colette bursts into a lyrical statement, calling poverty the finery of redemption! It seems amazing that privation should be equated with finery, for finery is the fetching finish to a pretty dress, turning it into something special. Blessed is he who can see privation as a precious, much sought after, finish to a life with God. Only the person who can see the value of growing in trust could embrace such a statement. The truly poor person experiences the riches of heaven when divine providence turns from being a phrase into the reality of knowing that Our Heavenly Father provides. One is reminded of one of Grimm's fairy tales, where a little orphaned girl leaves her home after the death of her grandmother to seek her fortune in the wide world. Being inexperienced, she willingly shares first her provisions, then her garments , until by nightfall, clad only in a little shift, she even hands that over to a beggar child, knowing that in the darkness, nobody could see her – But the heavens open and the stars fall down, dressing her with starlight. That is truly the finery of our redemption. It is truly the precious jewel, but unfortunately if I at the receiving end, believe myself to have received merely a red stone, I will not have a ruby but just that ... a red stone. And in response to the trust we put in God, it is through poverty that we discern a certain sign of salvation. "It is to poverty that the King gives possession of the kingdom of heaven ,lastingly and without end. .... And you, daughters of Adam and Eve, 0 why do you not love this precious jewel, this noble pearl, whose worth and dignity is that of the kingdom of heaven, and so is far more precious than innumerable worlds?" In her next paragraph, Colette holds out a treasure beyond price: the possession of the Kingdom of Heaven. It is the fulfillment of every Christian's hope and expectation. We only need to remember Bunyan's Pilgrim's Progress and become aware of how deep seated the yearning for heaven is in the heart of every Christian – and the price to be paid? Poverty! Our Lord himself in the first of the Beatitudes tells his listeners that it is the poor in spirit who will possess the kingdom. Many are the interpretations of what the "poor in spirit" denotes and the Blessed Francis himself taught his disciples that "poor in spirit" means not to have any claim before God, we can appropriate to ourselves absolutely everything , from the chair we are sitting on, to our pet opinions, idiosyncrasies, and even learning. St. Francis shrewdly discerned that learning, needful as it is, can become a weapon for power and hence a possession. And so Colette following in the footsteps of Francis and Clare again compares poverty with a precious jewel, a noble pearl, buying our entrance into heaven, basing it on Our Lord's words, when he warns his disciples in asking them, "what use is it to possess all the world ... if you loose your soul?" "Alas, and more than a hundred thousand times, alas! You could possess poverty more easily and as an incomparably better bargain than this wretched world, which is full of wrong choices, traps and snares, lies and clinging mire; in the midst of which, you can, all too easily, lose the kingdom of heaven and saddle yourself with pain and eternal torments." Colette cries out in sadness and frustration, pointing out to her sisters that the possession of poverty is more easily obtained than anything in this world. The meaning of the word "world" here is to be understood as St. John uses it in the Gospel: the fallen world ruled by the prince of evil. She herself, in her own life, experienced plenty of hostility, false friends, and setbacks.Albeit that there is no record to confirm this, we have reason to believe that Joan of Arc and her troops lodging in the same monastery (Auxerre) probably exchanged her own struggles and difficulties with the Abbess, Colette, present in the same house. It is a wonderful opportunity to imagine the two women encouraging each other in their warfare with evil. Therefore Colette warns her sisters that it is all too easy to loose the kingdom of heaven and be saddled with eternal torment. This is strong speech indeed. St. Alphonus de Ligouri, centuries later, warned his penitents in one of his sermons saying that it is better to escape eternal punishment by attrition, than not to repent at all. In our present climate we find it difficult to understand that attrition, that is, the fear of eternal punishment – rather than our love for God – which motivates us to turn away from sin, should be considered, if not ideal, at least permissible. Those who have gone before us had no such scruples: better to live limping into Heaven then somersaulting into hell. By all means have perfect contrition, let the love for your suffering Savior shine forth, but be mindful that attrition opens the back door to heaven. ".... O my most beloved sisters, love, love, love most perfectly this noble and precious and most excellent virtue, the poverty of the gospel; loved by God and hated by the world." Now Colette addresses her sisters in a most affectionate manner, exhorting them to love to love, to love most perfectly this noble virtue. But what does Colette mean by loving perfectly? Does it mean flawlessly? No. Unfortunately, in our present day understanding the word "perfect" conveys the concept of one hundred per cent, however, Our Lord himself, encouraging his followers to become perfect, certainly did not mean that their conduct should be flawless (He knew our human weakness only too well), but rather that they should carry through to the end in fidelity what they had begun. Our Heavenly Father knows our many faults and failures, but just as He supported His Son to the end, we too must run the full course in order to gain the victory. The world is full of people – and the Church is no exception to this – who have begun with great determination only to fall short of their goal. As we grow older, this brings us to an unavoidable confrontation with the truth: we find, to our surprise, that the last part of our journey to God – insofar as letting go of so much – is not as easy as it appeared from the blush of youth. If we have equated our self-worth with what we do .... rather than with what we are ... the letting go will be a great trial filled with much pain, for we will find ourselves asking, inevitably, what there is left to live for? How wonderful to see in a mature person the sense of worth based on being and not on doing. This is attaining to wisdom. Surely the practice of material poverty has one, and only one aim: to assist us in learning to let go, and to learn to trust. A shroud has no pocket! "After the example of Jesus Christ, who had nowhere here below to lay his head, and the example of our glorious father, St. Francis, and our mother, Lady St. Clare, be utterly content with the form of your poor habit allowed by your Rule, and hold everything else as suspect, such as books, chaplets, thread, needles, pins and whatever trivia; kerchiefs, veils and other things which may be for your own use and on which you may set your affection." Colette now puts before us the example of Our Lord Who had nowhere to lay His head, we know from the Gospel account that the poverty of Our Lord and his disciples lay not in destitution but in the uncertainty of their daily circumstances. Here comes a fact, little regarded but of the utmost importance: even a life of destitution can contain a degree of certainty, whereas the essence of apostolic poverty is the insecurity, never able to predict what tomorrow will bring. As Our Lord reaches his disciples to pray for the daily bread, He specifically points out that we are to pray for the daily bread today and not that of tomorrow, in other words we are to trust that tomorrow our Heavenly Father will provide as he has provided today. It is in the nature of poverty to learn to trust, as this is at the heart of every relationship. How often do we say glibly Our Heavenly Father knows our needs – and then make surethat we are covered by every possible insurance. How many of us do seriously believe that Our heavenly Father knows our needs ... and provides? In Poor Clare life there is a simple custom which, if practiced faithfully, underpins this lesson, each day at dinnertime, when the meal is being served, each sister lifts up her bowl, like a begging bowl, knowing that it will be filled with the necessary ingredients. Underlying the custom is the far more important lesson to learn to trust, that all our needs, physical, spiritual, psychological are provided for and as always in love, we conclude from the exterior manifestation of seeing the food in the bowl and eating it to the realization that others needs are equally taken care of. It is a humble lesson, but very essential for the well being of our inner being. St Francis and St Clare understood this only too well. It is possible that even small possessions can hold our attention, that in the end, the thing possess us and not we it. A very needful criterion is to ask oneself, if I were to loose this would it matter? "Have only those things which are truly necessary, and possess all things in common. .... In this present life, be content with what is necessary, so as to attain more easily to the true goods of the celestial kingdom, to which you already have a claim by reason of that holy poverty which you have willingly promised and vowed for the love of God." Mother Colette offers some practical advice on the subject of material poverty, telling her sisters to have only what is necessary. Of course this is a vast subject. Depending on the customary lifestyle the definition of what is necessary will vary a great deal, neither is there is anything wrong with this. The touchstone is this, whatever the average working class man or old age pensioner has to dispose of could probably be classed as being materially poor. The question arises is one prepared to let go, for somebody in greater need. The far more difficult issue is that of possessing things in common. learns to become generous, accepting with peaceful resignation something spoilt in ignorance, looking beyond the spoiled to the person who is far more important. Failing this one can live in a perpetual inner turmoil and become very judgmental. Moreover Colette promises even to have a claim by reason of this holy poverty that we have promised and vowed. And again explaining this, she tells her sisters that it is done not for the sake of thriftiness but for the love of God. "The kingdom of God will be ours without fail if we keep faith with Lady Holy Poverty. .... By this cross of holy poverty I mean: to live a life of continual abstinence, not eating meat, fasting daily, going barefoot and enduring the cold, sleeping on hard beds, wearing poor clothing, being content with scanty and coarse food, and bearing the burden of labor, both manual and spiritual." Again, Mother Colette puts before us the promise of the Kingdom of Heaven at the end of our journey, knowing in her wisdom that those who are setting out on a journey need to be reminded of the end of the journey that they may not to loose their courage. After the example of Mother Clare, who also encouraged her daughter Agnes to look to heaven – to the end of the journey – an inspiration that manifestly came from St. Clare's deep contemplation of the San Damiano Crucifix, depicting Our Lord standing in front of his tomb, gazing into the distance, with the angels awaiting Him, and the outstretched arms of the Father lifting him into heaven and into glory. Respice finem! Look to the end! However, the vision of heaven in no way obscures the reality of the Cross here on earth. Mother Colette lists various forms of poverty: continual abstinence, fasting daily, going barefoot; in short, sharing the fate of the laboring class, who, like her and her daughters, wished nothing better than to be counted among God's little ones. Like the poor who have no choice but to carry the burden of their poverty if they wish to survive we, too, must carry the burden of our poverty, although our burden is, in many ways, of a different nature. At the conclusion of Vatican II an experiment was made in Italy among the various Poor Clare Houses. A sufficient number of volunteers were found to live as if they were living in the Middle Ages: the habitation had no drainage, no running water, no sanitation, very primitive cooking facilities, no heating, and the experiment lasted for exactly five years, at the end of which, the police came and closed it down. Is there a lesson to be learnt from this? Surely there is. The poverty of the Middle Ages could not, and should not, be that of the 20-21st centuries – however, when we decide that we must not live in history past we still make an option to live with Lady Poverty, to surrender and to trust – for those who love poverty, no day will pass without meeting her. The most precious possession that we have is our time. Have we ever considered it is as an irrevocably surrendered reality that we possess; a part of our being which, once spent, cannot be recalled, recovered, retrieved. Our availability to God, to others, is one of the least recognized forms of poverty in our present day and age, and yet, one can die to oneself without anyone noticing it by making the gift of oneself , of ones time, ones love, available to all.That truly is the burden of this labor of which St. Colette speaks. "Whoever at the hour of death is found possessing anything, in fact, or in deliberate desire, will be dispossessed of the kingdom of heaven. .... Live and die truly poor, my dearly beloved daughters, just as our sweet Savior died on the cross for us; for if it seems that few love him in this way, it is all the more reason that we should so love him." Now our Mother Colette makes a very daunting statement, saying that any possession, be it factual or in deliberate desire, might occasion the loss of eternal happiness. This is indeed a very frightening proposition, but then one has to keep in mind the old saying, a shroud has no pockets! When Sister Death takes us home, we need to go without luggage. The luggage can be that of bitterness and resentment, and what we should have had, and in fact did not receive, it is a timely reminder. How many people go through life with the bitter luggage of resentment never shed, how many people, even sincere Christians, hold themselves excused on so many grounds, very often the plea of privation in early childhood; it is a deadly excuse, in fact, it is the most serious stumbling block to our effectively receiving the grace of God within us. It usurps the seat of mercy, which we, in denying others, deny to ourselves. Holy Mother Church teaches that in human failure God's actual grace can always prevail. It is only our bitterness that prevents us from experiencing it. Only our own malice can thwart God's goodness, a goodness that cannot be forced upon us, but which must be received, accepted, embraced. Therefore looking at the first beatitude which encourages us to have no claims before God, we find that these claims pertains not only to what is material; much more importantly, they pertains to love and affection, to relationships and expectations. nothing to which we lay claim before God will bring us to the Kingdom of Heaven. Claim Him ... and you claim the Kingdom. "After Lady Holy Obedience in the order, I recommend to you above all else, Poverty, which is the straight ladder by means of which, without anxious wobbling, one mounts easily to that self-same kingdom, thanks to the complete renunciation of all passing goods for the love of God, who is so good, and who promises us his kingdom and does not lie." In her final summing up on the subject of poverty, Colette again points to Heaven as our final goal. Depicting poverty as ladder on which we climb to Heaven, Colette points out to us that it is all the more easily ascended if a minimum of luggage is essential. And therein lies the problem, in our determining what is essential and what is not. Here lies the challenge for continuous reflection and personal decision. We are reminded of St. Bonaventure who was once rebuked by the brothers for failing to live the same mortified life as St Francis had before him. To which St. Bonaventure replied, "My dear brothers, our revered father Francis did not have to preach, or teach, the way his sons now do in the service of Holy Mother Church, and hence our mortification will need to differ from his mortification as we need to carry our cross as he carried his." Down the ages, we have suffered from a deficient understanding on this subject, largely a misunderstanding altogether. By limiting ourselves to an external observance which, in many cases, is neither inspired nor enlightened by the Holy Spirit, we are creating ingrown, immature, individuals who, far from being free, continuously suffered from unfulfilled desires. The problem is not that the desires remain unfulfilled, it is that the desires have remained; they have remained without being transformed, translated into something greater than their selfish motives, into something more noble than what nature, apart from grace, is capable of. Without rehabilitation they remain disordered because they have not become new creations of themselves through the Holy Spirit. The Holy Spirit renews totally – not in part. It leaves nothing of our nature unredeemed, without being suffused with, and transformed by, grace. This requires authentic, not just superficial, spiritual formation. It is not possible that the era following Vatican II could have been marked by so dramatic a failure to authentically update spirituality, rather than furniture and architecture. Now that the wind of change has taken down all the dead wood, one can hope that a new interpretation of Holy Poverty will find its way into our religious houses and families, bringing a renewal of hearts and a fervent dedication to Christ. "Since our Lord has said follow me, I understand that we really are to follow Jesus Christ - the spotless lamb, the virginal Son of a Virgin Mother - through true purity of heart and body until death. Through this true vow of angelical chastity, one becomes a loyal bride of Jesus Christ, in virtue of that faithfulness promised and given at the time when we made our vows in the hands of superiors, who represented God on earth; a pledge made in the presence of witnesses:- the Blessed Virgin Mary, St. Francis, St. Clare, and all the Saints, and before those other witnesses who were present when we made our vows at our holy profession; a profession through which we obtained the remission of all our sins and the full assurance of eternal life." A good deal of confusion surrounds the notion of the vow of chastity. While most people accept without question that one must learn to be poor and obedient, it comes as a surprise to some that one equally has to learn to be chaste. What is more, to add to the confusion, chastity is – in a way that poverty and obedience are not – a universally governing precept that applies with equal rigor to the single, the married, and the Religious state. Does this surprise you? Several years ago, the Holy Father, Pope John Paul the II, was taken to task by the secular press for urging husbands to exercise chastity in their marriage. "Absurd", they cried in protest, being clueless of the concept of chastity itself, understanding concupiscence in the most superficial and vulgar terms. The confusion arises, because we misunderstand the word itself. It is derived from a Latin word of which only the past participle is still in usage. Castus was the word the overseer used when his slaves had finished scrubbing the marble floors at the crack of dawn each morning, having reported to the mistress that the floors had been scrubbed and hence were clean, the mistress then proceeded with affairs of the household. It is important to note that castus not only denotes the accomplished fact of cleanliness, but it also denotes that it was a cleanliness achieved by the process of scrubbing. It is that awareness of a process, not in itself an end, but aiming toward an end more important than the act by which the end is realized, through which it is attained. Applied to the concept of chastity, it is to be noted that the process of cleansing is not only apropos of the end, but necessary to it. It is a pity that the word chastity has come to acquire such a shallow connotation limited to abstinence from sexual activity, for even in the married state chastity needs to be practiced. Mutual agreement to intimacy is needful, both partners need to listen to the wishes of the other. 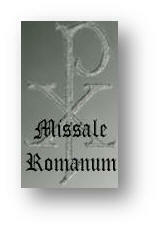 The single state is the training ground for this discipline as necessary to Religious life as to marriage. If one cannot be chaste outside of marriage (natural or mystical) or Religious life, it is unlikely that one will be able to be truly faithful in the single state. To be chaste is to be exclusively one other's – and not, as it were, the common property of many. The mystical marriage of a Religious to her Divine Spouse Jesus, Whose Ring binds her to Him, together with her vow, is as real as any marriage in the world. She belongs to Him alone! He has taken her to Himself and her betrothal to Him excludes all others. She is called to the chastity of a marriage! How differently we understand this than the world does, even as it failed to understand the Holy Father in his insistence that the married be chaste, that is considerate to each other. 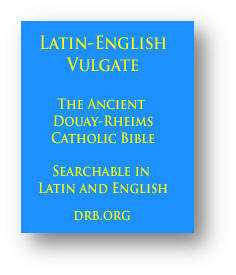 In both cases the aim of chastity is charity – although in a Religious it extends to all in a way that is supereminent – for a man does not see his wife in all women, nor a woman her husband in all men – but the consecrated Nun sees her Divine Spouse in *everyone*, and fidelity to Him is her fidelity tot hem! It is, to them, the pledge of His love -- for in her, they find Him! This pure love that expresses itself, pledges itself, in chastity, is a striking testimony to the reality that nobody can rightfully be treated as so much chattel. No! The needs of the other in whatever form they present themselves, and in whatever state – and preeminently in the Religious state since the Spouse is God Himself – are essential to the practice of chastity in all its venues. But as we now see, we are all called to be chaste! "Consecrated chastity therefore means to follow the lamb through true purity of heart and body until death". It is interesting to note that purity of heart preceded purity of body. It has always been understood in the Franciscan family that the vow of chastity, which promises consecrated chastity, looks forward and not backwards. From the moment the realization of invitation shines on the face of the one invited ... from that moment onwards ... she must keep her eyes on the Lord, and leave all for the sake of the Kingdom. To be a loyal bride, fidelity at all times is required, but it must be noted, that the term of angelical chastity can be misleading. We are not angels, nor are we going to be angels in heaven. Angels and men are of entirely different created natures. Our human body is not only the instrument of sin, but far more importantly the instrument that leads chastity to charity. Our vows made into the hands of the Mother of the Community are therefore made into the hands of God. to bring forth the Word of God, we too , in fruitful chastity we rejoice in our spiritual motherhood, by bringing forth the Word of God as we pronounce our holy vows. 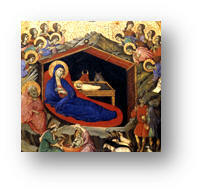 Again and again Christ is being born into this world as we proclaim our holy vows. "O noble and most precious virtue of chastity! Loved by God as his loyal bride, honored by the angels as spouse of their Lord and King, most highly praised by the Saints, and so splendidly proclaimed in Sacred Scripture! .... It is the noble crown you will wear in the kingdom of heaven at the true wedding feast of your true spouse, Jesus." enables us to grow . A habitual practice of kindness leads to the habit of charity, and chastity and charity become interchangeable concepts. This explains why Colette calls chastity, the loyal bride of God. there has been in the past a lot of misunderstanding . It has often incorrectly been presumed that marriage, albeit a Sacrament, is inferior to a life of consecrated chastity. God who is love is the prime source of love for everyone. In Heaven, Christ tells us, there will be no marrying, God is in the centre, but neither will we be angels. As those older and wiser than us put it, marriage is for the stability of society, passion is for God. Read the Song of Songs, it is full of it. It is for this reason that Mother Church is very reluctant to dissolve a marriage because both partners need to look beyond to God in their midst. It is also for this reason that while canon law permits a separation, should harm befall one of the partners, a separation is still not a divorce; and while it is true that a relationship may not work out, God, our true Lover is always there. It is with this in mind that Colette refers to the true wedding feast with our Spouse. It is in the plan of God and therefore not a haphazard choice that some people are set aside to love the Lord their God without human intermediary for the sake of the Kingdom. They are a sign to this world visible and audible that God lives. "O most excellent garden! Full of all the plants that are truly good! You never let thorns, nettles, or poisonous weeds grow in you; you do not allow any profane thing to enter. 0 how good is your strong surrounding wall! How loyal is the one who keeps faithful watch at your gates and allows none but the true messengers of your true spouse and king to enter! .... Naturally you will find your place in the imagery of Sacred Scripture as the finest flowering trees bearing this noble fruit, which is served to the King of true love in his kingdom!" Down the ages the Religious life has been compared to a garden enclosed, drawing on the imagery of ancient poetry, just as the Creation account suggests the fullness, beauty, blossoming, and flowering of life prior to Adamic Sin. In a very similar manner, life with God is nurtured toward the flowering of charity and mutual support. One can sum up all of this in a few words. In an enclosed garden one learns to forgive and to be forgiven. Let me explain. Tragically, this very simple truth has not been honored, and attempts have been made to build a life of prayer and of fidelity side by side with unrepentant uncharity. It does not work. There is only one cross that we must carry – and it is united to the cross that each of us carries within us – and that is the weakness of our next door neighbor, and through carrying that cross bringing something truly redemptive out of it, out of the pain, the weariness, the injury, it brings us. The strong surrounding wall designed to keep worldliness out cannot protect the heart should it wander away from the path of forgiveness and charity; this requires constant vigilance, continuous effort. In this context we are reminded of St. Paul's words to the Corinthians, "do not receive the Lord unworthily." Unworthiness of receiving the Blessed Eucharist is, if we remember Christ's words, always caused by an unrepentant lack of charity, our being unreconciled to another in love, which makes us unworthy of Him Who Is in the Eucharist, for, "what you do to the least of my brothers you do to me." The profane thing that Colette is referring to is actually the lack of Charity. Consider this: the notion of fruit figures largely in the beginning, in the book of Genesis, and in the end, in the Book of the Apocalypse, and in this sense we find a very revealing metaphor, for the fruit pertains to the First and the Last, the Alpha and the Omega, Who is Jesus Christ, the image of the Father ... Who, the Apostle John simply tells us ... is Love. The noble fruit of which Colette speaks is love itself, the beginning and the end of every endeavor in Christ, the love which we must bear toward each other, as St. Paul tells us, in bearing with each other. This is charity. This is the noble fruit of the enclosed garden that prefigures the true Garden of Paradise. The "true messengers of your true spouse" whom alone, according to St. Colette, we must admit ... of Whom and of what do they speak? Of love! Each messenger must proclaim the message entrusted him by the spouse, "Love one another even as I have loved you." It is the fruit of union with that Spouse, the fruit that itself is served to the King of true love in the banqueting hall of Heaven – and that must be served to the children of the King also; those within enclosed garden walls on earth, and even those beyond them. If we can re-capture the true meaning of love we can discover that in our God-given creatureliness that we carry the source of true life , that is to say we are able to love and we are able to receive love. Mother Colette breaks forth in laudatory terms praising chastity as a worthy and excellent virtue. Perhaps it is important to understand the true nature of the word 'virtue'.The original meaning of this word was to denote the qualities a man must have in order to be regarded as estimable. Therefore it included, courage, uprightness, honesty, to mention a few. All this applied to the virtue of chastity makes clear that the acquisition of chastity requires a persistent struggle against selfishness and self centeredness. We are far from being angelic, we are in constant of God's cleansing us and to leading us to purity of heart. Mother Colette, therefore, notes the excellence of victory, for there can be no victory without a battle. Most often, however, and especially in Religious life, the battle is without clamor or clarion to which the world's attention would be called. It is not the clash of great armies but of great wills ... and in many very real and very arduous ways. the way he did, had he been old, but as scripture says, he was righteous before God. St. Joseph subdued himself. His sacrifice was silent, and apart from Jesus and Mary, unknown. It is therefore true to say that it is not possible to understand the notions of enclosure, battle, and victory with reason alone. By and large we see no visible battle, know of no victory, see none of the wounds, and understand little of the sanctity. More than cloistered walls obscure our vision of heroic sanctity within. It must be accepted in faith. And in this faith we can do all things in God who strengthens us. Ever before us is the faithful held fast in faith that our reward will be nothing less than God Himself. It is needful for us to have this eschatological vision, since it is for Heaven that we live. Holy Mother Church for many centuries never dispensed anyone from the vow of chastity, even if a dispensation from the vow of poverty and obedience was granted. The reason for this is that a vow made to God, surrendering soul an body, could not be negated, annulled, renounced. Only for grave pastoral reasons had this recently been attenuated, and only for the care of a potential spouse and children. We are reminded of Jesus telling those who argued for divorce on the grounds of the Mosaic Law that it had been granted them "only for the hardness of their hearts." But it was not what God called them to, nor was it God that granted it. One can understand that, as a reformer, Colette had much to say on the subject of chastity. Ultimately, it is by doing penance – that is, by re-assessing ones false values and applying the insights given through grace to ones conduct – that we can grow in purity of heart on our journey to God the Father. The vow of enclosure must come as a surprise to anybody not familiar with the spirit of St. Clare. It has been suggested that the legislation of Canon Law motivated Mother Clare and succeeding generations into yielding on this issue, where other contemplative orders such as the Benedictines or Carmelites, keep their Enclosure by the implications of their holy vows. Not so the Poor Clares. One also has to keep in mind that at the time of St. Clare, heretical groups such as the Albingensians allowed women to roam the countryside side by side with the brothers that were sent out to preach and there was no distinction made. This may lead some to a mistaken assumption that Francis may possibly contemplated such an arrangement with Clare and her sisters, especially since they belonged to the same order, and would be joining the brothers in more than spiritual ways. One could also assume, from the complexion of the Moon, that it is made of cheese, but it does make it so (as the Americans proved some years ago). From the evidence of the holy rule we hold with absolute certainty that Clare very clearly envisaged a life of authentic enclosure, and in fact we consider enclosure, together with community and contemplation, the three pillars of Poor Clare life. It is easy to understand why Clare voluntarily undertook a life of enclosure with her sisters, as inspired by St Francis. Clare did not envision her sisters as either coming from, or confined to, one social class alone. Moving beyond the boundaries of her own feudal society, she received into her community all those who desired to embrace a life of poverty and prayer. There must have been in San Damiano members of the aristocracy, and we know of least one sister who was a foundling and reared in the monastery. To Clare everybody led by divine inspiration was welcome. In order to create a community out of such diversity, a life together consisting of prayer, work, and charity needed to be designed. Unlike Francis , who desired his brothers to be itinerant preachers, Clare, calling herself the little plant, appears to have understood early on that belonging and being rooted in one place was essential to the building of a community, for the welfare of the plant consists in being rooted firmly in the soil and only in being rooted firmly and remaining in that sacred soil will it flourish. At the end of her life Clare could say with certainty that she had created a community of like-minded sisters. From this we conclude that the concept of the enclosure was interpreted as the environment within which a life together, around the table of the Lord, could be lived, practiced, realized, daily. It is a great pity and a deep misunderstanding to interpret enclosure solely in terms of keeping out the world. Far from it! St. Colette, following the example of the founders, admonishes her daughters to carry the joys and the sorrows of the world in their hearts. 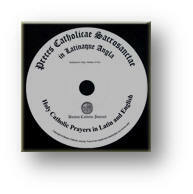 Therefore if possible, Poor Clares live in urban areas rather that remote country areas in order that the laity have access to the community. "... 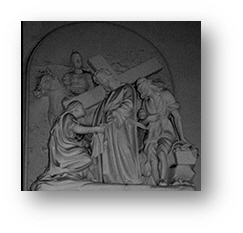 The Lord willingly allowed himself to be shut away in a sepulchre of stone. .... As it pleased him to be enclosed for forty hours, my dear Sisters, you, too, must follow him; for after obedience, poverty and pure chastity, you have your holy enclosure to support you. In it you may well live forty years, more or less; and in which you will die. You are therefore already in your sepulchre of stone; that is to say, the enclosure which you have owed." 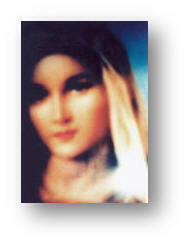 Mother Colette point to the highest possible example of enclosure, which is Our Lord being buried in the tomb. One must remember that far from being a time of decay a great, great deal unseen occurred during those 40 hours, not least of which was His descent among the dead, to the Limbus Patrum, when his disciples were grief-stricken, unable to come to terms with their loss. The Orthodox Church has a beautiful painting of Our Lord in the tomb, not depicting him lying down but sitting upright, peacefully, poised for action. There is also in the Orthodox Church a most beautiful liturgy celebrated on Holy Saturday, whereas the Latin Church keeps a day of quiet mourning. everybody behind in eager expectation. There is even a little poem, where an old man approaches Our Lord and, putting his hand on Our Lords shoulder says, son , how is your mother? vows. It is all too easy to love your neighbor in far away country to which you will never journey, but it is more realistic, and sometimes a good deal more difficult, to love your neighbor who is next to you 24 hours of the day, every day, each day, seven days a week. Many people in the navy or army, can witness to the fact that a confined space evokes the best and the worst among those living there. "O how precious is the sepulchre of Jesus; that tomb visited by so many out of devotion! .... O how precious is that sepulchre - your enclosure - into which devout souls enter to obtain their salvation. From the depths of that tomb, these souls take flight, with the help of the three vows already mentioned, soaring to the great celestial palace without difficulty, or hardly any, and without danger, having carried out all the works required in accordance with the call they have received from God, How much comfort, delight and aid, should these fellow captives feel when a new bride enters into the noble realm of the Bridegroom she has loved and desired." Many people visiting the monastery remark on how peaceful a place it is, and those of us who hear it, smile, knowing in our heart of hearts that the peace which rightfully imbues the place and suffuses its surroundings is Gods gift for those who are engaged in spiritual warfare.Not for nothing does Our dear Lord in the Beatitudes consider those who make peace as being Blessed! He does not mention the peace lovers , He mentions the peace-makers, peace has to be made, continuously – there is no respite, no let up. As Mother Colette rightly points out, if we have carried out all the works that are required of us in the practice of our holy vows, then we will indeed soar up to Heaven, albeit the more sober minded among us might prefer to call it stepping stones which we climb slowly and gradually. And it is perfectly true that after a life of fidelity, Sister Death comes as a welcome friend, taking into her arms the bride yearning for the Bridegroom. Every night as a Poor Clare prepares to sleep she is aware that the Bridegroom might come – perhaps this night – so she lives in constant expectation and joyful hope. Yes, peace is proper to the place where sanctity dwells. It is the vestibule to Heaven. "Such is the abundance and superabundance at the table of this blissful marriage feast, that when a tiny part of the great and immeasurable joy and bounty of the noble King and Spouse falls from it, it cannot but delight the poor captives, whom sin still keeps from entering into this noble wedding feast." Mother Colette again calls the gaze of her sisters to Heaven, placing before them a joyful expectation of their place at the Heavenly Banquet. Comparing heaven with the blissful marriage feast, she tells her sisters that even here, on earth, small particles of joy will fall upon them, albeit that they are still kept on this earth because of sin. And no point is the virtue of hope meaning, certainty employed more convincingly. In the Gospel Our Lord uses a familiar image to invite those who listen to Him to seek the kingdom of heaven, unlike his philosophical contemporaries in the Hellenistic world, He does not employ abstract idealism, but tangibly appeals to very basic human instincts. In all cultures a wedding feast is an outstanding event; much preparation has to take place, many sacrifices are being made, and it is not an uncommon that the family may well be bankrupt afterwards. The whole emphasis, however, is upon the joy of the bride and groom being shared and in that joy, an enjoyable time being had by all. To that end much is prepared to induce the guests to coming, in ways immediately apprehensible to them. It is not entirely without afterthought that we are also reminded of the Parable of the Prodigal Son, who returns to his father's house for no higher motive than that of the assurance of food and drink. Here again we see the deep wisdom of Catholic teaching, meeting human nature at that junction where it can be appealed to, induced to something greater, holding out what is most noble without imposing impossible means to attaining to it. And yet without any doubt the expectation of the Heavenly banquet has always been inspired within us through a vision of the ideal, and through that vision, a fervent dedication to seek it, attain to it, find our seat among the guests by remaining on the straight and narrow path to Heaven. Among Poor Clares, there is often said in jest – more a desideration than presumption – that a Poor Clare goes to heaven without going to Purgatory. While uttered in jest, it nevertheless highlights the fact that, however light heartedly put, it is a desire taken seriously, in great earnest. Even our elderly mothers in religion do not demur from penance, trying in small ways to atone for smaller acts of self-will and lack of charity. ".... O happy enclosure, which can remove you from many vices and occasions of evil and keeps you secluded securely and worthily in the midst of noble virtues. .... O noble castle, powerful and strong, of the King of heaven! It fears not the assaults of the world, the flesh and the devil. 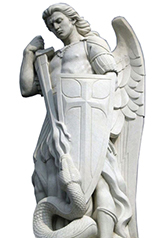 .... O impregnable tower, you enclose within yourself all truth's provisions against the assault of the devil." Mother Colette powerfully points out the great advantage of seclusion which enables her sisters to enjoy protection and mutual support. St. Boniface, many centuries before, refers to the protection of God as a tower into which one must run, to be safe, against the assaults of the enemy. In fact the medieval man had many occasions to take refuge in a fortress, to shelter the young, the tender, from the ravages of the enemy. Here, our enemy is threefold: the world, the flesh and the devil. St.t John is his Gospel sometimes refers to the world as evil, implying that it seduces us away from the Kingdom of heaven, and what is more, there is also our fallen nature to contend with, militating against the sweet yoke of obedience –- and last, not least, the great deceiver himself. "You have within yourself universal obedience, the daughter of Holy Humility, which condemns all self-will, the cause and root of all evil; you are fully supplied with Lady Holy Poverty, which has no care about worldly things and who makes it her entire aim and desire to tend entirely towards his glorious kingdom, without anxiety about the untrustworthy things of this passing world. Against the strong and harmful assaults of the flesh, our particular enemy here below, we have its adversary Holy Chastity, continual prayer, fasting cold and bare feet, close guard of the senses, holy silence, chapter, correction, meditation, tears, sighs, regular discipline, the Divine Office, sacred Scripture, holy Mass, the sweet partaking of the precious Body of Jesus Christ, purity of heart, right instruction, the remembrance of death, the cross, the passion, the sight of the cemetery, the faithful guardianship of your good angel, the fidelity loyally promised to your dear Spouse, the hope of eternal reward - and the thought of the terrible punishment of those who will have merited otherwise." Mother Colette enumerates to her sisters the many means at their disposal to assist them to grow in holiness. Not surprisingly she begins her admonition by pointing out that Obedience is the daughter of Holy Humility, it is only the humble man who is prepared to surrender himself, making his will consonant with the holy will of God, which in fact is the essence of every true expression of love – whereas self will is the root of all evil. Again she mentions Holy Poverty, which enables us to attend to the needs of the kingdom, even as God is attending to our own needs on every level. How anxious we often are and how much we need to renew ourselves in continuous trust knowing that God will truly provide. Holy Chastity enables us to experience the love of God in prayer. Various forms of mortification and the regular exercises of devotional practices all create purity of heart. And once again she invokes the eschatological view, which beyond any doubt promises us life everlasting, with the bliss of Heaven. She also adverts to the "terrible punishment of those who will have merited otherwise." Collette does not blench before the truth, nor hesitate in uttering it, for it comes from the very mouth of Christ, the Beloved – however disinclined we may be to hear it. Unfortunately, it is not socially "correct" to talk of hell fire and damnation, and yet, in this sense, as in so many others, medieval man had no such inhibitions, and he was that much richer for it. In essence, our spiritual warfare confronts us with powers and principalities, but unlike any other warfare, the victory is certain, for it is Christ's. This explains why the early Franciscans in meditating upon the Passion of Our Lord always started with the Resurrection – Christ, victorious over death and sin, sitting at the right hand of the Father in glory. Be gone then, away with you, foolish and rebellious flesh, full of distracting promptings and evil inclinations; you who seek to lure us from the way of perfection, bringing shameful death and perdition. .... Be led by Lady Holy Grace as her servant, and by wise reason, for your profit and, ultimately, your glory. .... Sin passes away swiftly and its punishment is unending; penitence is short, but its ending will be your eternal glory." Mother Colette breaks forth into strong terms of rejection. Here one must keep in mind that we are not listening so much to a mother but to a reformer. A reformer has a clear vision and strong views on the right kind of form necessary to what has become misshapen. It has clearly become the case that a good deal of reforming is needful. It can be said with certainty that the neglect of the vow of poverty, and more so, the neglect of the vow of enclosure, account for most of the abuses that had crept into religious life. It must also be clear that this did not happen over a short period of time, it is far more likely to be the result of a continuous and unrepeated negligence, which in the end becomes the pernicious norm. Once negligence and injustice have become the norm, it is virtually impossible to uphold a community life with mutual charity. And therefore Mother Colette encourages her sisters to be led by grace. In the pre-Vatican text books on grace there was a distinction made between habitual grace, which is to say, the indwelling of the Blessed Trinity, and actual grace which is strength provided for the present moment. While it was a perfect formula, it did not always effectively communicate that, however weak we are, Gods grace is always stronger. It is important that we realize with trust and confidence that not only is God,s grace always with us, but that, his presence is made known to us, particularly in moments of weakness and stress. Therefore, wise reason, with which grace always cooperates, takes us ultimately to our glory. It nevertheless remains that while sin itself passes away swiftly, its consequences can be everlasting; penitence, on the other hand, while short, has consequences more far reaching still – leading us to eternal glory. O happy enclosure! 0 soul completely enclosed, according to the will of its superior, which nothing causes to go straying abroad here and there, but which rests at all times completely submissive to the will of its superiors. There is its only rest! .... O precious and sure enclosure! To be enclosed by continual remembrance in the precious wounds of Jesus Christ! .... O happy captives, soaring above the heavens to hear with the ears of the spirit the nine choirs of angels, whose sweet praise and chanting magnifies the Holy and Blessed Trinity, one God in three persons. Again Mother Colette sums up her thoughts in praise of enclosure. The joys of the garden enclosed are put before us where the bridegroom walks with the bride. We are reminded of the book of Genesis, when God walked in the cool of evening with Adam and Eve. There is promised to us rest, because our will has become one with the divine will of God. It is this expectation of bliss that can be foreshadowed in the cloistered life, as the Psalmist says, when I am with you the earth delighted me not. One must keep in mind that the garden enclosed, by its very nature encourages those who live there to raise their eyes to Heaven, to join their voices with the Heavenly Choirs and to journey through life, light footed with a song on ones lips. There is no concern for a career or any advancement of any kind. Having eliminated so many distractions, the one and only aim is Heaven itself and the Court of the King. "With all the angels praise God, glorify him - in him and through him, and through all his creatures in heaven and on earth: exalt him above all for his inestimable favour in creating the human person in the image of the Creator, and for the sovereign gift of the sacred Incarnation of our God, who is so good that, after having created all things for our sake, he himself became truly man and our loving Brother, so as to restore all things by his glorious death and his passion. .... O bounty without measure! .... O ingratitude which forgets so great a gift! .... Praise him! Exalt him with all your voice for the great gift received in Holy Baptism, that of knowing complete innocence and becoming temples of the blessed Holy Spirit." Mother Colette having concluded her admonitions , breaks forth into praising God with all the choirs of angels and with all His creatures here on earth. We are reminded of the book of Revelation where we find a continuous choir of voices praising and glorifying! In fact, throughout the history of monastic life the laus perennis* was the dominant occupation of Monks and Nuns. To praise God is in fact what we have been created for. Mother Colette considers this as one of God's greatest favors that we have been created in the image and likeness of God. Dun Scotus never ceased comparing the Incarnation as the final gift of love, which is to say, that in Jesus Christ, God revealed Himself in his true being. For Duns Scotus, Christ became man not so much for the salvation of mankind, but far more so in order to have somebody so perfect, so holy, as to love God in a with a love commensurable with God. As God he could love his Father in the fullest sense of the word, on equal terms, and as man he could love his Father perfectly, wholly submitting himself to the will of the Father. As our brother, He enabled us to become co-lovers with Him. In the fullest sense of the word He is the bridge between heaven and earth. Therefore by his Cross, Passion and Resurrection he could bring back to life himself, his brothers and sisters and all creation that groaned in great turmoil awaiting the great revelation of God. Mother Colette praises the infinite good , the bounty without measure, the priceless gift. All these gifts are ours: when we receive the gift of Baptism, the Blessed Trinity begins to dwell in us and we become the temple of the Holy Spirit. It comes to some as a surprise that medieval spirituality was deeply Scripture-based and in fact truly charismatic. "Give thanks worthily to the Lord for having borne, so generously, with your sins and failings. 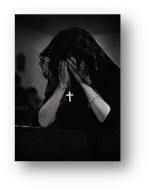 His pity has recalled us to himself through contrition, confession, atonement and the resolution to lead a good life. He has drawn us through our call to the religious life, to enter into the state of perfection found in the Form of Life, with a good company which will not desert us, so as to glorify him at all times for the holy promise of eternal life, the promise he has already made to us." Mother Colette admonishes her sisters to be mindful of their failings but not through succumbing to self pity, or worse still, to mere remorse, but by pointing to the Lord, who has born for us our failings and renewed us in his grace. One is reminded of prayer that was recited during the offertory before the Vatican II reforms eliminated it, which said something like this, "Oh God you have created us wonderfully and recreated us more wonderfully, never must we see our sinfulness without the awareness of the merciful love of God." Through contrition we are recalled to God Himself; confession and atonement put us on the path of righteousness. Perhaps it is of importance to reflect here on the word atonement. If we analyze its structure, it falls into two elements, the meaning of which is that we are at one with God. It is a great pity that the element of being at one with God has been neglected in the past, particularly since the devotion to the Sacred Heart of Jesus revolved a great deal around the conception of atonement. To be at one with God means to place all our confidence in him. There is no room for self pity or self accusation, we are washed clean in Precious Blood of Jesus. Those of us who have been privileged to be called to the Religious life know for certain that having entered the state of perfection does not mean that we are perfect or ever will be; it only means that we have the grace to see the job through, that is to say, to persevere following the Lamb wherever He leads. Guided by our form of life which is based on the Gospel, we have all the inspiration we need to know the holy will of God and do it. We are also privileged to know that in living the Gospel life the promise of eternal life is ours. And ever more, here on earth we have the hundredfold even with persecution. Admittedly our journey to God equals that of a serpentine road, rather that the straight flat from a to b – but our certainty is the destination, and it is no less than heaven itself. "Praise him, love him, serve him worthily so you can be sure of everlasting life - as sure as those who are already in full possession of it and who see God in the clear vision of his sweetness and infinite goodness, in the highest bliss arid perfect surety of their eternal inheritance." It is of importance to notice the order of phrases as they follow each other: praising, loving serving. First and foremost we are asked to praise God, to acknowledge His majesty and almighty power, He is the Creator, we are the creatures, that is the most fundamental premise upon which our relationship to God is based. Having acknowledged His majesty, our hearts response is love. His majesty inspires our love and by virtue of our loving Him we serve Him. It is of importance that we understand that our service is that of a free response freely given through our awareness of our place in this creation. The promise of eternal life is then reiterated by Colette. We begin to understand how needful it is for us to keep before our mind's eye that heaven is what we are living for. Quite emphatically, Colette assures her sisters that heaven is ours with a certainty no less than those who have gone before us and who enjoy the Beatific Vision, the vision of God's infinite sweetness and goodness. This is a far cry from the categorical imperative which obliges us to do our duty because it is our duty to do our duty. No such sterile and uncompromising obligation is laid upon us apart from love and what love of necessity, of certainty, not only engenders but entails. We can anticipate the highest bliss and the surety of our eternal inheritance. Our faithfulness in love is the surest pledge of life everlasting in God. Just as children are being rewarded for their efforts, we the children of God need to be lured by the goodness of God and not by the stern sense of duty to follow the path that leads to salvation. That is compulsion, duress. Love, on the other hand, invincibly moves to the Beloved, it is preeminently free; love, not duty, compels the soul to the Beloved Who is its fulfillment. We are reminded of St. Stephen who, when being stoned, cried out aloud, "I see heaven opened and the Son of Man standing at the right side of the Father!" May our vision – and our end – be no less compelling through our love. "In order to be able to attain to this by his grace and his aid, we must loyally keep the vows that which we have promised him, and if we commit some fault through human frailty, we must make haste every time pick ourselves up, to make ourselves clean and to make up our losses through holy penance. And our dear Father, during this life receives us without delay into his mercy and his sweet reconciliation, considering that first, holy and good intention, which he gave us in our holy vocation and in his loving binding of us to himself, and for the sake of all his innumerable favors, graces present and to come." Colette now puts before us our eternal inheritance which we can obtain with God's grace and His aid. However, we in turn need to be faithful to the vows we have promised and perhaps this is the place to say that while the Church dispenses from the obligation of the vows and enables a Religious to own property and to make decisions, this does not mean that the commitment once made to God- -- providing it was made freely and without compulsion – has become null and void. Vows in religion are based on Baptismal Vows and are actually only a deepening of these vows, and they therefore remain valid even if the actual obligation of each vow can no longer be fulfilled. Mother Colette also gives some wholesome advice as to how one repents through Holy Penance: there is no place for maudling and undue self pity. As every good confessor will advise, to make an Act of Contrition suffices and we must just leave it at that. Considered carefully, we find that it is full of common sense and much to the point. We are assured that our Heavenly Father receives us with open arms and sweet reconciliation. There is also a very needful explanation provided by St. Colette that there is a binding as part of the nature of the holy vow; in fact the word religion, means just that, a bond – and having bound ourselves to God we could not not possibly wish to cut ourselves loose because there is the inescapable truth that if we are not bound to God we will be bound to the evil one, there is no neutrality in things absolute, final, and eternal. There is no middle way. It was not so with our Holy Spouse, Jesus Christ. It cannot be so with us. "Praise, praise always, praise everlastingly, and love the Father, the Son and the blessed Holy Spirit; the most humble Virgin who bore Jesus Christ, the holy and sacred soul of our Redeemer, and his precious body which hung upon the cross for us all; love the Saints, men and women, and all the angels, and all the good and just people who serve God day and night." Mother Colette, the true charismatic, encourages her sisters to praise God everlastingly . It took the charismatic movement to re-discover ancient long-forgotten truth which medieval man knew so well, that is, it befits us, first and foremost to praise and adore the Almighty. This is where we belong in the order of creation. Our Mother Clare admonishes her sisters to praise God by our lives, and Colette , a true and faithful daughter continues this admonition, telling her sisters to love the Father, The Son and the Blessed Holy Spirit. Often prayer is interpreted as the personal relationship between myself and Jesus Christ. While this is true, it is only half true: as a baptized person I am relating to the Blessed Trinity, three persons, one God. 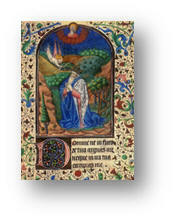 This form of prayer, of praise, nourishes the soul, day and night, and for Poor Clare's the Office of Matins is the best proof of what our Mother Colette preached and practiced, for when we arise we sing the Lords praises – in the middle of the night we are motivated by our desire to praise the Father as his daughters, praise the Son as his mothers, and praise the Holy Spirit to whom we belong in bridal love. Our soul stretches out its wings in loving union with all the Saints, past and present, all the angels gathered around the Tabernacle, and all the many good people who serve God by their daily fidelity. We are mindful that many who do not know God meet the God of creation by their fidelity to their daily tasks and commitments to duty. ".... Set your minds on living well and dying holily. The end is approaching; the world not improving: malice increases; goodness, loyalty and truth decrease; iniquity abounds, charity grows cold again; devotion and religion are found in very few hearts. Many are called, but few are chosen. .... Alas ! The pity of it all ! For God, according to his holy will, wants to save all humankind without exception! Yet so few of them let themselves be chosen ! All are called, but few consent to come; and if there are those who start out and go on for some time, nevertheless there are very few who persevere to the end in keeping the law of God." Mother Colette sums up her whole teaching in a single sentence, exhorting her sisters to live well and die holily. More sound advice could scarcely be imagined. It leaves us in no doubt and stands in need of no explanation. Colette herself provides the qualification to this sweeping statement, pointing out to us that the end is approaching – that malice increases, charity grows cold. Concluding this statement with another terse admonition, Mother Colette admonishes us, as Jesus Christ Himself did, that "many are called but few are chosen"; a warning as apropos of our time as as it was in the time of Colette. In the history of mankind there are times of exploration and new development – and there are also times of decline, decadence, and negligence, Colette's time was one of those. And our own day, in many ways, is not unlike hers. However Colette reassures us yet again that it is God's wish to save all mankind – if only we would be ready to be chosen. As she herself says, while all are called, few consent to come, and what is worse still, even many of those who do come do not persevere unto the end. "There are many who make solemn vows in religion but alas, and more than a hundred thousand times alas, there are all too few today who acquit themselves of them loyally in the sight of God who misses nothing. In order to be saved people are obliged to keep completely, justly and loyally, all that they have promised and vowed; the punishment for dishonesty is eternal! Surely it would be better not to promise anything and so fail in nothing, than to promise much and then fall abysmally short. .... The greater the promise, the greater the injury, and the more awful the fate of the transgressor. But for the good, the greater the promise, the greater is the merit and the greater the salvation, which will be given us as a pure gift by the Father of all mercy, the Son by his holy Passion, and by the blessed Holy Spirit, the fountain of peace, of sweetness, of love and of all consolation,. .... Amen, amen, without recall." In her summary, Colette, true to her reforming spirit, reminds us that there are many who have taken solemn vows and so few who loyally, faithfully, embrace their obligations. We need to keep in mind that Colette as a reformer met many Nuns and Friars who had been attentive to the invitation – but overcome by the spirit of the world failed or compromised. The seed that falls upon good soil, and not among thorns; which takes deep root in deep love and thrives through perseverance, are sorrowfully few. Did not our Master tell us as much? Practical to the end, Colette points out to her daughters that in order to be saved, we need to keep completely, justly, and loyally what we have vowed. It is a necessary, a vital reminder in our present and increasingly secularized climate, one that should motivate us to carefully and truthfully examine our own conscience relative to our understanding of our own commitment. While it is true that life is a journey, with many unfamiliar bends on the road, it is equally true that we must follow it right to the end of the road if we desire eternal life. A journey without a clear-cut understanding of where it ends becomes meaningless and wasteful. There is only one life to live, and there is no trial run for it. Mother Colette completes her testament with a blessing that the Son, Who by His holy Passion, and the Holy Spirit, the fount of peace and sweetness, of love and all consolation, may always be with us, – it is the unfailing promise of Christ Himself: "I am with you always. Even unto the end ..."
We pray that all those who read this commentary will find a new and beautiful awakening of God's love in their hearts. Now that we have completed our reflections on the Testament of Our Holy Mother St. Colette it seems appropriate to try and evalue what these reflections have shown us. 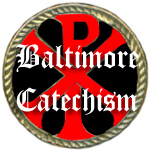 For those of us who were part of religious life in the pre-Vatican era, it was taken for granted that we took the Colettine reform on board: our life was austere, and quite often below the bread level. That is to say, the aspect of penance was stressed almost to the exclusion of other considerations she had raised in her reflections. When we were asked by the Council Fathers to return to our roots and think afresh the heritage we were honored to carry, many, rather than returning to their roots, cast their charism aside and reformed their religious life as they thought best and most amenable to them – to the point that the original charism that inflamed their orders were eventually extinguished or became mere smoldering wicks. Others steadfastly maintained a no-change attitude. The resulting polarization was, and still is, very considerable. It poses a question well worth pondering: did Mother Colette anticipate that her reflections would, without any question, without any change hold good even in the 21st Century? It is not likely that she had such a static outlook on life; being the woman she was, she understood clearly that a reform needed direct and precise injunctions to come off the ground, but she also understood the paradox that for things to remain the same some aspects always need changing. Not for the mindless, pointless sake of change, not gratuitously – but to bring the same witness, the same evangel, the same hope, in no way changed in essence ... merely in inflection. Perhaps this is what traditionalists need to understand more adequately, that nothing can stay the same; that if we do not want to loose the essence, we must continuously update the accidentals ... not to the point that the essence is obscured and no longer recognizable ... but speaks the one and same message, a timeless message of an unchangeable Gospel, more clearly, more forcefully, to an increasingly confused and disoriented and disinherited world. Mother Colette's unmistaken charismatic inspiration should give us continual food for thought, her emphasis on praise, her awareness of the dignity and beauty of the religious life were scarcely ever mentioned during those pre-Vatican days. There is a letter by no less a man than Henry the Eighth, King of England in the 16th century, petitioning the holy Father to canonize this noble virgin Colette, known for her prayer and deep charity. It is not without reason that she was she the uncrowned queen of France. "... In the name of the Lord! Amen. ... Among the other gifts that we have received and do daily receive from our benefactor, the Father of Mercies, and for which we must express the deepest thanks to the glorious Father of Christ, there is our vocation, for which, all the more by way of its being more perfect and greater, do we owe the greatest thanks to him. 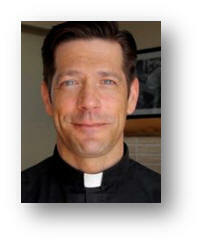 Therefore the Apostle writes: "Know your vocation". The Son of God has been made for us the Way, which our Blessed Father Francis, his true lover and imitator, has shown and taught us by word and example. Therefore, beloved sisters, we must consider the immense gifts that God has bestowed on us, especially those that he has seen fit to work in us through his beloved servant, our blessed father Francis, not only after our conversion but also while we were still living among the vanities of the world." Should an amateur consult a professional writer on how best to start an essay, every experienced writer would say, "put your punch line first!" Our Holy Mother St. Clare, while she had no such mentor to advise her, did just that. She begins her testament in the Name of the Lord! With this very short simple sentence she puts the emphasis where it should be: on the Lord. We have to remember that to know the name of a person is to have to access and influence over this person. It is an ancient and deeply Semitic concept. Even in fairy tales we find that knowledge of the name of the character invests the one who knows with a certain power over the character. Mother Clare knew and understood the importance of a name, and therefore begins her testament calling on the Name of the Lord! She ends this short exclamation very emphatically: "Amen", so be it. What then follows encapsulates her belief in divine providence, her outlook on life, its worthwhileness, its beginning and its ending. She begins by singling out the one gift among the many other gifts that we receive and that is the gift of vocation. There are at the moment two very different views as concerning the notion of a vocation. The one understands it as a ministerial occupation, which in plain English means that it is a job. 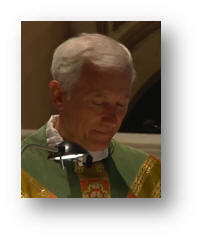 The other considers a calling as a direct invitation from God to the religious life, the married life, the single life. This latter attitude presupposes that the calling is a gift, and because it is a gift from our loving Father, with the gift comes the talent and necessary attributes to live the call to its fullest. In other words it is not we who choose, it is Our Father who points the way and provides us with the means. She refers to God, therefore, as her greatest benefactor, the Father of Mercies, the Giver of every good gift. The One Who gave His very Son, without recall. This complete confidence in Him Who "gives not as the world gives", stands in stark contrast to those whose understanding of the beneficence of God is less generous and who subsequently claim to have lost their vocation. A gift given by God can not get lost, although it can be neglected, eventually disdained, and finally thrown away; No! This gift from God is given for good, and because we cannot be deprived of it (although we can effectively discard it) we must express our deepest thanks. The world gives and takes away. God is not the world. And certainly the world is not God. There nevertheless arises the question of what, precisely, it is that one should be thankful for. Mother Clare answers this question without hesitation and in the clearest and most unapologetic terms: the vocation to Religious life is more perfect and greater than any other gift that could have been bestowed upon us. This does not sit well with many men and women who see God as the great Equalizer, exercising the magnitude of His favor on all alike – Cain as well as Abel, Esau as well as Jacob. We are offended if everyone does not equally enjoy His favor, His predilection. St. Clare was not. She grasped through humility what most fail to grasp through pride. Quoting St. Paul, she then admonishes her sisters to know their vocation. Having acknowledged God as the source of her vocation she now moves on to the inspiration that comes to her from the words and in the example of the Blessed Francis whom she refers to as God's true lover and imitator. As in the Gospel where Jesus Christ refers to Himself as the Way, the Truth and the Life, so here the Son of God is seen as the Way that points to the Father. Again she mentions the blessed Francis, her guide and inspiration, who inspired her mind and instilled in her the great desire to lead the Gospel life – not only after her conversion, but while she was still living in her father's house. When Clare refers to her conversion it leaves us wondering: "What she was converted from? ", seeing that even in her father's house, under the guidance of Ortolana her mother, the women-folk led a life of dedication and service to the poor and needy. 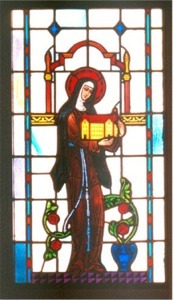 When St. Clare refers to her conversion she surely could not have meant a turning away from a sinful life, for we know from the extremely careful scrutiny of the Canonization Process that even in her father's house, dedicating her time and energy to prayers and works of charity, she did not live anything tantamount to a dissolute life! No, something much more subtle is referred to. When we look at the word conversion, we understand a turning away from something in preference to something better. In the case of St. Clare it undoubtedly meant that she came to understand the values of her parental home to be good, but not very good, to be honorable, but not necessarily in keeping with the Gospel. With an astonishing maturity of spirit she came to confront herself with her previous upbringing which stressed honor and respectability, preferring, instead, the littleness of her mentor, the blessed Francis, who referred to himself as the little poor man, and so in like manner, she became the little plant. It is a seldom recognized, but very serious problem in community living that the conversion process which everyone is called to undergo does not always result in amended previous habits, nor rehabilitate long-standing and ingrained ideas. 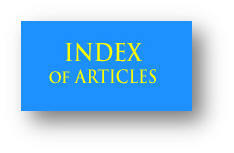 It is one of the most painful sources of disharmony in the life of a community: very few people of different backgrounds have identical values, and very often, identical moral formations, and therefore ones expectations of what other people do or not do is very much colored by ones own criteria. For a successful community striving to authentically live the Gospel within the unique charism of any Order, conversion, personal conversion, on the level of the dynamics of human relationships is, however difficult, essential to the viability of community life. We are all called to say with St. Paul, "Nos autem sensum Christi habemus" ... "But we have the mind of Christ!" "In fact, almost immediately after his conversion, when he had neither brothers nor companions, while he was building the church of San Damiano, where he was totally visited by divine consolation and impelled to completely abandon the world , through the great joy and enlightenment of the Holy Spirit, the holy man made a prophecy about us that the Lord later fulfilled. .... For at that time , climbing the wall of that church, he shouted in French to some poor people who were standing nearby: "Come and help me in the work of building the monastery of San Damiano, because ladies are yet to dwell here who will glorify our heavenly Father throughout his holy, universal Church by their celebrated and holy manner of life." Having set the framework, now Mother Clare begins to explain the origin of the foundation of the Poor Clare Order. Francis, having recently been converted from a sinful life, occupied himself by re-building dilapidated churches. It was a time of great inner upheaval for him, he had failed in his ambition to become a Knight, he had spent time in prison as a prisoner of war in Perugia, and all his far flung dreams had turned to dust and ashes. After his father had bailed him out, he returned to Assisi, a sick man in body and soul. His recovery was slow, and even after he had regained his strength, his mind was troubled , and the futility of his life laid heavy upon him. It was then, as he was trying to find some meaning for his existence, that he wandered into an empty church outside the walls to seek he knew not what! It was in that church that he heard the Crucified asking him to rebuild the Church! In his simplicity, he took it to mean that he was to rebuild that very church, San Damiano, and obediently set himself to the task. It was not until much later that he was asked to rebuild the Mystical Body of Christ. However his ready obedience bore rich fruit. Not only he, but the Poor Ladies that were to follow him, found a place and a purpose in life. It was here that he decided to abandon the world, it was here that he was overflowing with divine consolation. It is interesting to note that Mother Clare ascribes all this to the joy and enlightenment of the Holy Spirit. In fact, the Spirit of the Lord and his holy inspiration play a large part in her writing and in that of the Blessed Francis. Clare then goes on to explain that under divine inspiration, Francis prophesied to some bystanders that poor Ladies were to dwell there, glorifying their heavenly Father by their celebrated and holy manner of life. The Holy Manner of life was to be based on the Gospel life, and it was to be lived throughout his holy, universal Church. This leaves us with the question why Mother Clare specifically mentions the Church in this context? We must keep in mind that at this point in history the Church was beset by heresies, in fact, Assisi itself was divided and it said that heretics numbered more members than the Church! It is clearly Clare's intent to put herself, and her daughters, deeply within the bosom of Holy Mother Church, which stood resolutely against the heresies encompassing her. "We can consider in this, therefore, the abundant kindness of God to us. Because of his mercy and love, he saw fit to speak these words through his St. about our vocation and choice through his St.. And our most blessed Father prophesied not only for us, but also for those who would come to this same holy vocation to which the Lord has called us." Mother Clare again returns to the subject of vocations, seeing it as the outpouring of abundant kindness on the part of God. There is no mention made of sacrificing one's life in a meaningless and dull routine of duty. On the contrary, it is a sign of His mercy and love that He offers this invitation to follow in His Son's footsteps, and again she points out that He chose Francis and gave him prophetic words about her vocation, making Francis the channel of grace through which his invitation flowed. So it comes about as the Blessed Francis had prophesied, that here, in San Damiano, ladies would live to glorify their heavenly Father – not only Clare and her own sisters but also those who would come in years to follow to that same holy vocation to which the Lord had called her. It is obvious from the way that Clare mentions St. Francis that she always considered him her Father in Christ, referring to him as our Most Blessed father, albeit that age-wise she was only 12 years his junior. There is manifest a deep gratitude on her part as to the role he played in her life, we must also recognize that Francis only verbalized what had laid hidden in her own heart for some very considerable time. There is a truth expressed in psychology that one cannot elicit what is not basically within a person, however dormant. No person and no circumstance can evoke anything in any of us that is not already deeply hidden within. This is a truly daunting thought, as we are often prone to blame circumstances or people for our reactions and negativity. Here we find a truly inspiring example of spiritual friendship, which is one of the most misunderstood realties in the spiritual life. St Aelred of Riveaux once wrote a treatise on spiritual friendship, where he points out that the God given way to perfection is best achieved by the mutual inspiration and support of two journeying together. There holds good the much neglected axiom from the Book of Genesis, "It is not good for man to be alone", and as the country folk say, there are three in God, there is only one devil. "We can consider in this , therefore, the abundant kindness of God to us. Because of his mercy and love, he saw fit to speak these words through his St. about our vocation and choice through his St.. And our most blessed Father prophesied not only for us, but also for those who would come to this same holy vocation to which the Lord has called us." Again Clare refers to her vocation as a proof of the abundant kindness of God. Clare is fully aware that her vocation is a sign of special favour to which we need to respond with the deepest gratitude. Why ? Because to be invited is to be privileged, as the rich young man was in the gospel, to leave the vanities of the world behind This assures us, not only a place in heaven, but the hundredfold, here on earth ... and with persecutions to boot! The medieval man clearly understood that however sinful he might have been, this life on earth is no more that the prelude to life everlasting with God and his Saints in heaven. Not for a moment did he loose sight of this basic fact. One of the most besetting problems of our time is not the fact of sinfulness, but the lack of faith, without which not only the Ten Commandments, and every aspect of Christ's teaching becomes incomprehensible, but as a result the moral law of the Church that is based upon them. Every medieval cathedral, bears witness that medieval man upheld and clearly understood this eschatological view. 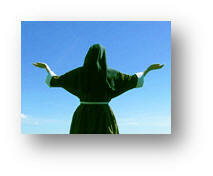 In Francis, Mother Clare saw a prophetic outpouring under the inspiration of God the Almighty. Never did she doubt for one moment that her vocation was anything but the treasure in the field, which she had found, and for which she relinquished everything. At no point did she attempt a learned treatise on the indwelling of the Blessed Trinity, but by her intuitive knowledge she knew, understood, grasped ... lived ... the reality that theology only verges upon! Looking into the future she realises that Francis spoke not only for her and her sisters, there and then, but for all who were to follow, in the here and now! As long as the Gospel is being proclaimed there will also be those who, led by divine inspiration, will find the passion to follow it. "With what eagerness and fervour of mind and body, therefore, must we keep the commandments of our God and Father, so that, with the help of the Lord, we may return to him an increase of his talent!" Mother Clare continues to explain that the nature of loving God consists in keeping the Commandments, and she is anxious to explain that the commandments must be kept with eagerness and fervour of mind and body. Indeed this is a tall order, to keep the commandments as a duty in order to stay on the right side of God is easily within our comprehension but to obey with eagerness presupposes a different interpretation of our keeping the commandments as a proof of love. We are reminded of the Shema, in Deuteronomy 6, where we are told that we must love the Lord our God with all our heart and soul, and our neighbour as ourselves. The Psalmist tells us that the law of the Lord is perfect, it refreshes the soul! Indeed, how many people would interpret that keeping the law, rather than being burdensome and onerous, is refreshing ? This understanding, rooted in one of the most ancient and fundamental precepts of living life authentically with God goes a long way toward explaining the present polarization that we now painfully experience within the Church. To those for whom loving God is the sole purpose of existence there is no doubt that doing the Holy Will of God is the summit of all happiness. However, those who seek the things of the world, the fulfillment of their own will, the satisfaction of their own desires and happiness here on earth will always struggle against, find themselves in contention with, this Divine current that runs deeply through both Testaments, and whose source is God Himself. It is unfortunate that this orientation to other-worldliness has been, wittingly or nor, misinterpreted as denoting a summary rejection of legitimate values and pleasures. This skewered assessment of life in God could not be further from the truth. *Happy* the man who keeps his eyes on God and believes that the daisies under his feet were planted there by God, for him to rejoice in. Only in this way can we return to the Lord an increase of His talent. Those of us who have already entered holy religion may well remember in retrospection how severely we were rebuked for wasting our talents. Here, Mother Clare encourages us to use our talent in the service of God. What greater, what more benevolent and loving a Master could we possibly serve with all our strength of mind and body, than the most sublime of all masters, Our Loving Father. This service which consists in loving God for His sake is surely the most fulfilling form of life that we can conceive. Is there a greater? The Blessed Francis was asked in a dream by Our Lord what master he would wish to serve. His answer was, the highest of all! Whereupon he was made to understand that there is no higher, no greater service that that of serving Our Lord and Master, Jesus Christ.